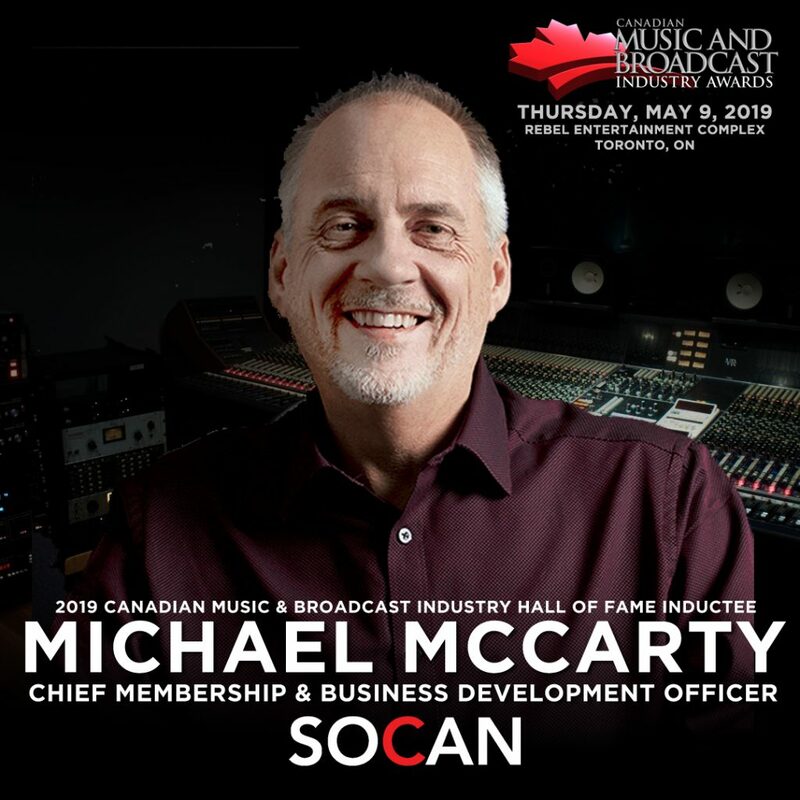 TORONTO, ON - (October 19, 2018) - Canadian Music Week is pleased to announce Michael McCarty (Chief Membership & Business Development Officer, SOCAN) as the 2019 inductee into the Canadian Music & Broadcast Industry Hall of Fame. Michael will be honoured for his achievements and longstanding career in the music industry at the annual Canadian Music and Broadcast Industry Awards Gala Dinner at Rebel Entertainment Complex in Toronto on Thursday May 9th, 2019. Michael McCarty has a unique combination of accomplishment and experience in the creative, business, and industry stewardship sides of the music publishing and copyright business, and has made a lasting impact on the Canadian music industry. At SOCAN McCarty is responsible for leading a department of 40 people across Toronto, Montreal Vancouver, Los Angeles and Nashville engaged in building a roster of 150,000 songwriters, composers and music publishers that includes all the leading Canadian music creators such as Drake, Alessia Cara, The Weeknd, Shawn Mendes, Frank Dukes, Murda Beatz, Keith Power, Andrew Lockington, Bryan Adams, and Sarah McLachlan. His mandate includes creating cutting-edge creative and digital business services for current and future SOCAN members. He is also responsible for overseeing the Canadian Songwriters Hall of Fame. Prior to joining SOCAN, he spent over 25 years in the music publishing business, serving as President of EMI Music Publishing Canada, and President of Ole. Of all the worldwide ATV employees, McCarty was one of two selected by Michael Jackson to continue to work on the ATV catalog. A series of acquisitions resulted in him being named as Creative Director in the Los Angeles office of SBK Records and Publishing. There, he signed actress Mila Jovovich, worked on the original Teenage Mutant NinjaTurtles soundtrack album, and co-signed Wilson Phillips, whose debut album sold over 10 million copies worldwide. SBK was acquired by EMI Publishing, who eventually brought McCarty back to Toronto as President of their Canadian company. Under his leadership, EMI developed many significant Canadian songwriters, and was named Music Publisher of the Year a record 12 years in a row by an industry-wide ballot at CMW. Known for his expertise in developing and mentoring young artists and executives, McCarty and his teams have had a major impact on the Canadian music scene by providing millions of dollars of financial investment and creative support to songwriters and artists. He and his teams helped launch Sum 41, Billy Talent, Three Days Grace, Dallas Green (City & Colour), Alexisonfire, Gavin Brown, Simon Wilcox, Matthew Good, Wilson Phillips, Moist/David Usher, Esthero, Doc McKinney,The Pursuit Of Happiness, Kim Stockwood, Jelleestone, Chin Injeti, and Len (“Steal My Sunshine”). He co-signed Nelly Furtado and Tal Bachman to the New York office of EMI, and at Ole, he spearheaded the signing of superstar writer/producer Timbaland. 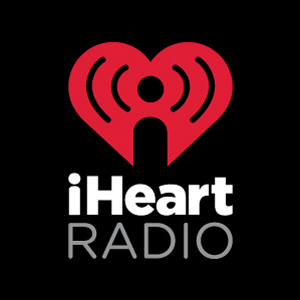 Other writers McCarty published are Bob Rock, Eddie Schwartz, David Tyson, Ian Thornley, Loverboy, Snow, and Jim Vallance. He has been actively engaged in lobbying government for effective copyright reform and testified at Canadian Senate and Parliament Copyright hearings. He also appears as a key note speaker at many music industry conferences, and is a founder of the Digital Music Summit initiated by the CMPA, which is now a fixture of the Canadian Music Week Conference. Now in its 37th year, Canadian Music Week is Canada's leading annual entertainment event dedicated to the expression and growth of the country's music, media and entertainment industries. Combining multifaceted information-intensive conferences; a trade exposition; awards shows and the nation's largest new music festival which spans 7 nights of performances (May 6 - 12), with hundreds of showcasing bands at more than 40 live music venues in downtown Toronto. All conference functions take place at the Sheraton Centre Toronto Hotel, 123 Queen Street W. Toronto (May 9 - 11).